As a Sportsperson, to be eligible you must You need to make a significant contribution to your sport at the highest level in the UK to be eligible for this visa. As a creative worker, to be eligible you must make a unique contribution to the UK labour market, eg you’re internationally renowned or are required for continuity, and you have a certificate of sponsorship reference number. To come to the UK as a Sportsperson, your sponsor must be a sports club, sporting body or event organiser. To come to the UK as a Creative worker, your sponsor must work within the creative industry. For example, an event organiser, national body or venue. A creative worker is someone who works in the creative industry, for example an actor, dancer, musician or film crew member. You want to do unpaid voluntary work for a charity. You are from outside the European Economic Area (EEA) and Switzerland. The religious workers category allows you to come to the UK to do religious work, such as preaching or working in a religious order. You are from outside the EEA, and you have a Certificate of sponsorship reference number from your UK sponsor. The government authorised exchange sub-category allows you to come to the United Kingdom for a maximum of 24 months to share knowledge, experience and best practice. You must have a sponsor, and you are from outside the European Economic Area (EEA) and Switzerland. You must have a certificate of sponsorship from a licensed sponsor before you can apply to come to the UK to work. Your work, training or research in the UK must relate to the work of your sponsor organisation. Certificates of sponsorship for the government authorised exchange sub-category will be issued by an overarching body that runs and administers the scheme. The overarching body will have the support of a UK government department. The international agreement category allows you to come to the United Kingdom for a short time for work experience or to do training. You will be contracted to do work covered by international law while in the UK, for example working for a foreign government or as a private servant in a diplomatic household. Your work in the UK must be any of the following: 1. Covered by the General Agreement on Trade in Services (GATS); 2. Covered by similar agreements between the UK and other countries; 3. For an overseas government or international organisation; 4. As a private servant in a diplomatic household or in the household of an employee of an international organisation. The Youth mobility scheme allows young people to come and experience life in the United Kingdom for up to two years. Young United Kingdom nationals will also be able to benefit from similar opportunities in participating countries. 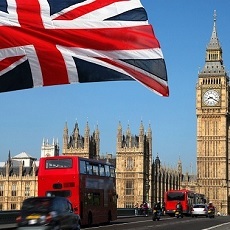 If you meet the criteria to participate in the scheme and your country joins the scheme, you will be free to do whatever work you like during your stay in the United Kingdom except for business and professional sport, or work as a doctor in training. You cannot apply for the Youth Mobility Scheme if you have: children who live with you, or children you’re financially responsible for, or you have already been in the UK under the scheme or in the former ‘working holidaymaker’ category.